We Pay You What Your Junk Car Is Worth!! As the economic recovery continues to move slowly in this country, most Americans, including Queens residents, are looking for a way to make extra money. Whether it’s to pay medical bills, unexpected expenses, or just to take that dream vacation, there’s never a shortage of reasons you probably need cash quickly. If you’re considering selling your junk car for scrap or parts, it’s one of the best ways to get back some of the value of the vehicle. Here are a few of our favorite ways to spend the money you secure by selling your car to New York City Auto Salvage and Glass. Pay for those home repairs you’ve been putting off. Do you need to replace something around your home, or make a repair? As we head into fall and winter, it’s a great time to do some home maintenance since you’ll probably be spending more time indoors. Save up for a down payment on a new vehicle. If you’re planning to purchase a new car, selling your junk car can be a great way to get started on the buying process. Pay off an old debt. Are you looking for a good way to eliminate the burden of a debt that you’ve had lingering around? Sell your junk car, and use the money to pay off the debt and give yourself peace of mind. If you’re looking for a great locally-operated business to sell your car to, contact New York City Auto Salvage and Glass. 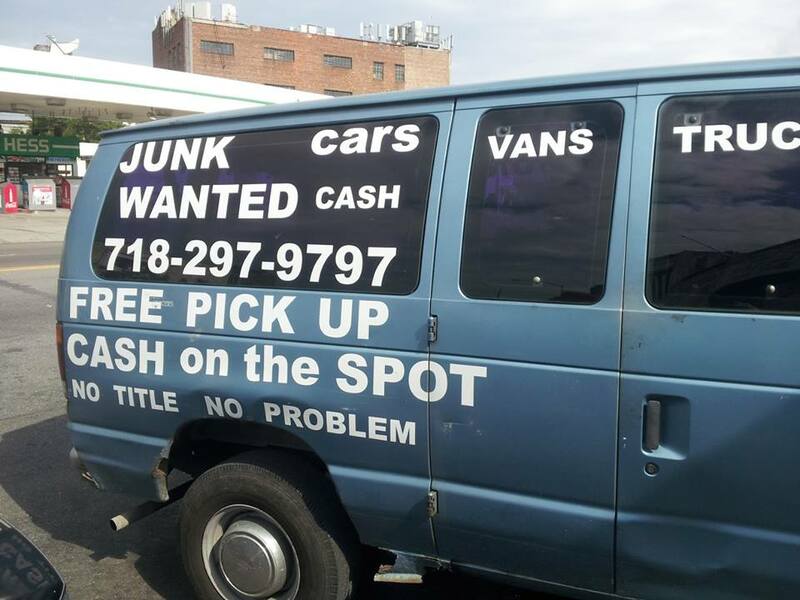 We are located in New York City to help you junk your car in Queens. If your car is more than eight years old, we can even help you if you don’t have paperwork. Call New York City Auto Salvage and Glass at 718-297-9797 to get on the path to financial security with fast cash. You can also like us on Facebook and Twitter for more updates! Hosted and Maintained by Squidix Web Site Maintenance.